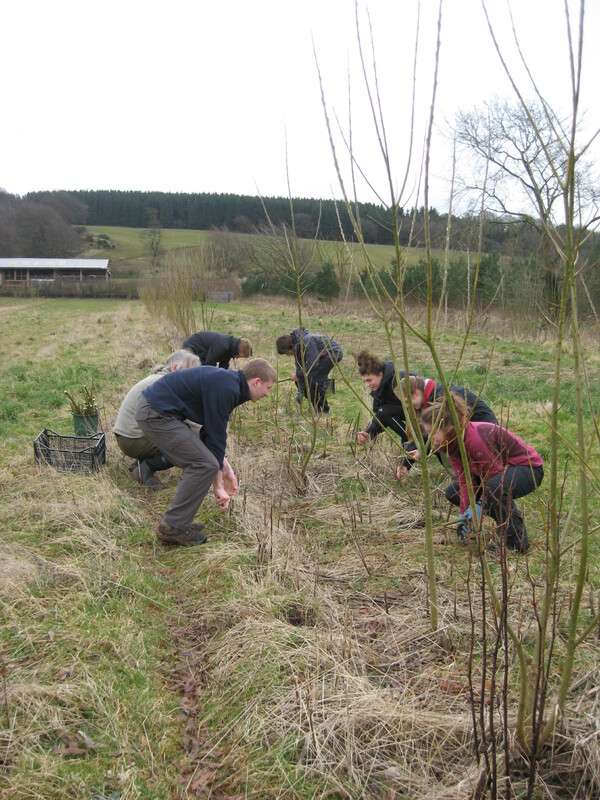 On the second of March the Green Team made our way down to Whitmuir Organic Farm, in the Borders. The day began with a quick chat about the farm from our host Meg. After a name game to help all the new volunteers we began our work on the farm. Our first task was to cut some of the willow trees in one of the fields and replant them on the other side of the field. The farmer was using the willow as a way of protecting the crops from the harsh weather and to increase biodiversity in the area. After lunch we were given a tour of the farm by Meg. She showed us the pigs and the sheep who were very friendly. We then went onto to see the baby piglets who were but a few months old. The final stop on the animal tour was the chickens. One of the great things about Whitmuir is the fact that it is a fully organic farm. This means that the animals are kept in the best conditions available with lots of room to move about and go about their business. After brewing a cup of hot chocolate each in the storm kettle we went round and shared our favourite moments of the day. My first experience of Green Team at Whitmuir was a thoroughly enjoyable one. I can’t wait to return to Green Team for the next project, but also returning to Whitmuir farm to try some of their organic produce!